We're only a few days away from the new Nexus announcement, and it's prime time for some leaks. We've already revealed the Nexus 5X and 6P boxes (along with confirming the names), but what about the phones themselves? Well, we've got a high-resolution press image of the Nexus 6P, and it is indeed that phone that was leaked a few weeks ago with the black bar on the back. 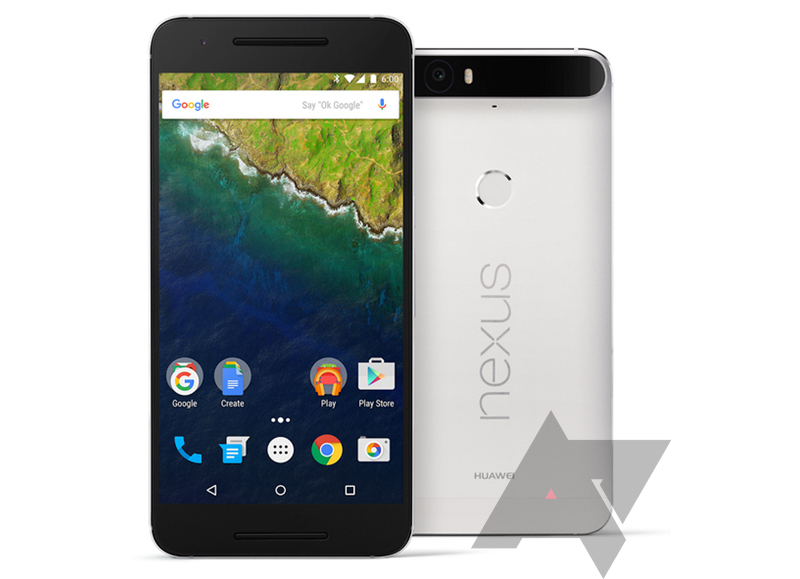 The Huawei-built Nexus 6P will be the larger of the two Nexus phones released this year. We're expecting a 5.7-inch 1440p display. The front is pretty unremarkable, although the top and bottom bezels are finally symmetrical. We can also see what look like the front-facing speakers reminiscent of the current Nexus 6. Around back is where things get interesting. Just like in the earlier leak, there's a black bar with a bump at the top. The lens and flash are visible in there, but the purpose of that black window isn't clear. Hopefully it's not just an ill-conceived decorative touch. The back also has a fingerprint scanner. The Huawei Nexus 6P is expected to have a Snapdragon 810 SoC and will come in 32GB, 64GB, and 128GB versions. It should also move to the USB Type-C standard. The consensus around the AP water cooler is that the Nexus 6P is not a very attractive phone, but maybe it'll look better in person. For the time being, you can consider "glory" in the headline to be slightly sarcastic.